Professor Pitel is one of Canada’s leading scholars of the conflict of laws, the field of law dealing with the taking of jurisdiction, the identification of the applicable law and the recognition and enforcement of foreign judgments in civil and commercial litigation. He is also well known in the fields of tort law and legal ethics. His work has been cited by Canadian courts in several decisions. He joined the Faculty of Law in 2000 after practicing corporate and commercial litigation in Toronto and completing graduate studies at the University of Cambridge. He was promoted to Professor in 2013. He has taught intensive courses as an adjunct professor at the University of Toronto and the University of Sherbrooke. He is the co-author of Conflict of Laws, 2d ed. (2016), Private International Law in Common Law Canada: Cases, Text and Materials, 4th ed. (2016) and Statutory Jurisdiction: An Analysis of the Court Jurisdiction and Proceedings Transfer Act (2012). 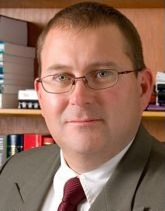 He is also the editor of Litigating Conspiracy: An Analysis of Competition Class Actions (2006), co-editor of Tort Law: Challenging Orthodoxy (2013), Exploring Contract Law (2009), Emerging Issues in Tort Law (2007), Understanding Unjust Enrichment (2004) and The Joy of Torts (2003), and co-author of Cases and Materials on the Law of Torts, 9th ed. (2015), The Law of Torts in Canada, 3d ed. (2010) and The Law of Restitution in Canada: Cases, Notes and Materials (2004). His articles on private international law have been published in the Canadian Bar Review, Canadian Business Law Journal, Journal of Private International Law and Advocates’ Quarterly. He was awarded the Ontario Confederation of University Faculty Associations Teaching Award in 2013, the Edward G. Pleva Award for Excellence in Teaching in 2012, the Bank of Nova Scotia, University of Western Ontario Alumni Association and University Students’ Council Award of Excellence in Undergraduate Teaching in 2008 and Western Law’s Student Legal Society Professor of the Year in 2004 and 2008. He has served as a member of the Chief Justice of Ontario’s Advisory Committee on Professionalism and as co-director of the Tort Law Research Group. From 2010 to 2014 he was a Goodmans LLP Faculty Fellow in Legal Ethics. In 2018-19 he is serving as the Past President of the University of Western Ontario Faculty Association. He frustrates himself playing golf and tennis and supporting sports teams from Philadelphia. He is a fan of musical theatre and classic rock, some genres of reality television and the London Knights. S.G.A. Pitel, ed. Litigating Conspiracy: An Analysis of Competition Class Actions (Toronto: Irwin Law, 2006); also published as (2006) 3(1) C.C.A.R. C. Brown, J.W. Neyers and S.G.A. Pitel, "The Impact of Recent Developments on Liability Insurance", a study prepared in 2005 for the Insurance Bureau of Canada.